Publishing is an industry that is no stranger to disruption. The digital revolution, while no longer new, still continues to make waves in publishing as technology, media, economic and social forces all impact both new publishers and venerable institutions that have been around for more than a century. Subscriptions and advertising have traditionally made up the bulk of newspaper and magazine revenue, and it’s no different for today’s publishers. Online advertising has long been a staple of Internet-based businesses as well, and news sites, online magazines, and blogs have good track records of being able to deliver the traffic that advertisers seek from them. The challenge of generating revenue from advertising is not simply down to transitioning from print to digital for publishers (especially given how many big players are now digital-first), but also in navigating the increasingly complex world of online advertising. From PPC and programmatic advertising to interstitials and paywalls, the online publishing world has been at the forefront of testing out and experimenting with new ways to sustain themselves and profit through advertising revenue. However, many publishers are challenged by balancing their ability to generate revenue with maintaining their brand and providing a good experience for their readership. Ad-blockers are one of the most popular types of browser add-ons and extensions, and publishers have to go to great lengths to ask visitors to disable them. 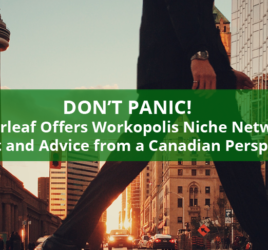 Advertorials are less obtrusive but may hurt your brand if your readership doesn’t like being sold to in that way, and your editors and writers may worry about journalistic integrity if their stories conflict with a sponsor’s interests. Publishers may ask – what good is advertising if the experience that delivers it turns readers off of your brand and your content? That is the tricky balance that publishers continue to grapple with, and that’s why some are using job boards to generate advertising revenue in a way that adds value for their readership. A job board functioning as a part of a publication’s website is not far off from the old “help wanted” ads in a newspaper, although recruitment advertising classifieds have come a long way since then. By leveraging your existing audience and the sales and marketing channels you already in use, publishers can drive readers to job content and provide a recruiting platform for employer-advertisers. Unlike a disruptive ad asking your readers to buy something, job advertisements that are relevant to their careers can add positively to their experience with your brand. Your job board may also attract new visitors to your website, who arrive looking for jobs but become engaged with your content and overall brand. 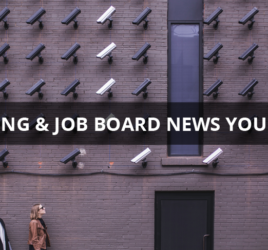 Online publishers can use job boards to generate revenue, increase engagement, and add value for both users and advertisers.